Songs of My Life . . . Slightly Out of Tune speaks to a generation of women and men over the age of 40 who are dealing with life’s challenges, both big and small. 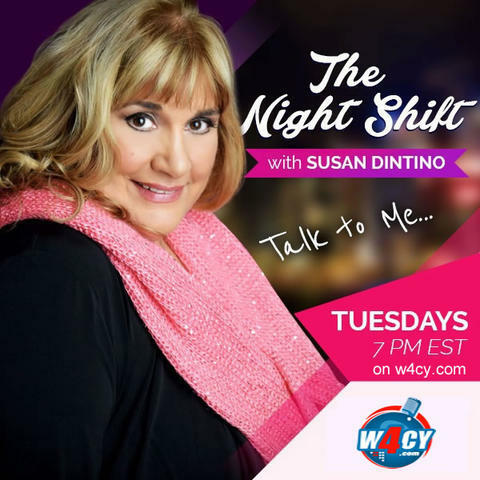 Susan Dintino writes about love, marriage, family, aging, health scares, parenting, and staying relevant and excited about what life has to offer. Her message is one of hope, and her conclusion is that we’re all trying to do our best, and it’s better if we can do so with a smile. Or ask for it at your local book store! I finished your wonderful book while on vacation!!!!!! I have to say that I just Loooooooooved it!!!! Your book was so heartwarming, funny, and insightful! I enjoyed every minute of it! I was shocked as to how much we have in common:)!! There was this one point I was laughing so hard that I had several surrounding air plane travelers staring at me lol! Thank you for writing this book I loved it! Susan is a modern-day Erma Bombeck. Her writing is filled with humor and heart. She cuts to the core of what it’s really like to be ‘this age’ and writes in a way the brings both laughter and the occasional tear. 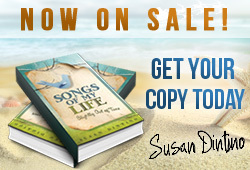 Songs Of My Life…Slightly Out Of Tune is a refreshing new book that turns life’s everyday occurrences into hilarious, heartwarming stories! No matter how hard I try I never seem to be a good enough mother, wife, or friend. This book helped me to realize that life is a blessing, even with all the bumps along the way. Written in a very friendly manner, you almost feel like you are having a conversation about your 'out of tune life' over a cup of coffee in your own kitchen. With a touch of giggles, of course, as she also discovers the first time she learned about 'landscaping' (Ahem. lol) among other things. I love the humor in this book, that is followed by dramatic reality. 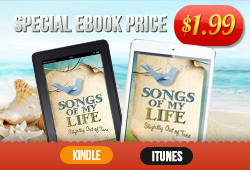 It is a book that reads like a personal story, but it also very eye opening and helps you reflect upon your own life. We are all human and can definitely relate to what she talks about going through in life, dealing with aging, etc. Susan also adds a sense of humor on how she dealt with her day to day life. This is a great book to sit down and read to help you feel better about yourself. I loved how humor was incorporated into some very serious and challenging moments that we are all bound to go through at one time or other in our life. It is a reminder that we can get through the hard times while learning to take better care of ourselves during the process. Susan Dintino’s meditation technique she shares in this book is a great way to start out the day! This book was so entertaining and fun to read. Reminds us all of those lessons we learn along the way in our lives. Will make you smile and even laugh out loud a few times. I loved this book because I think all of us (especially who are of a certain age, and grew up in the times we did) who are also on some of path of spirituality or trying to become self aware, can relate to what the author is writing about. I found it warm, funny and insightful. And one important message I took from it is that it’s not about being perfect, it’s about being whole, and I think we all need that reminder from time to time. What I liked about A Year of Me is the questions because they were cool questions. They weren’t boring. This is a great book. A Year Of Me is a delightful interactive assortment of poems to celebrate the months of the year. This child pleasing poem book will stimulate young minds to think about the people and world around them in a creative and interesting way. 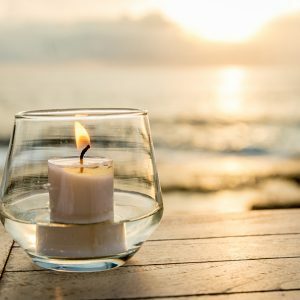 Join Susan by the sea in this healing meditation that will create a haven for you that will last all day. 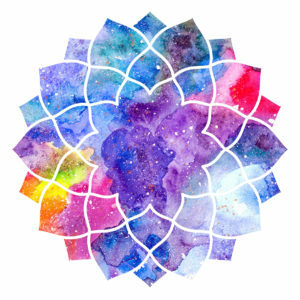 In this guided meditation, clear and balance your chakras to keep your energetic body sparkly clean. On this meditative CD, Susan Dintino takes you on a magical journey that will awaken your healing capabilities. 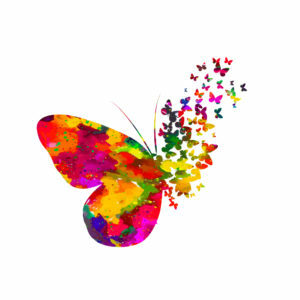 Butterfly Blessings, the first meditation will enchant you and help you choose a color for the day that will enhance you on every level. Spread your wings, fly and start each day with the realization of how powerful you truly are. 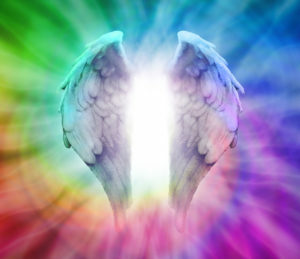 The second meditation, Invocation of the Archangels, provides a powerful call for assistance from these light beings of unconditional love. 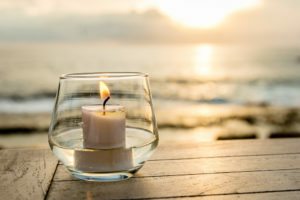 Channeled in Kona, Hawaii the sound of the surf combined with Susan’s invocation, bring the Archangels and their wisdom to help you whenever you need it. 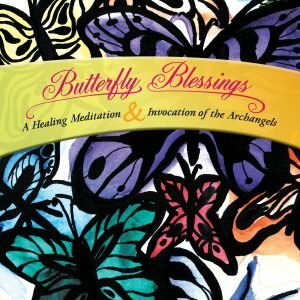 With the powerful healing music from the CD Butterfly Blessings by Mark Watson of www.AngelEarth.org, you can expand the time of your meditation practice. Would you like to purchase multiple books & CDs? A Year of Me - How many copies? Butterfly Blessings CD - How many Copies? 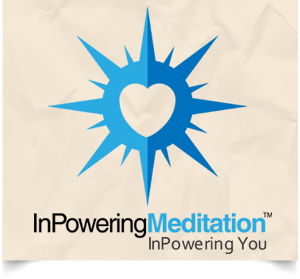 I am offering a personalized InPowering Meditation™ package designed specifically for you and what you would like to create in your life. A step by step guide to assist you in the process which includes a detailed description of journaling techniques and affirmation creation. This will be available to you in email or hard copy format. 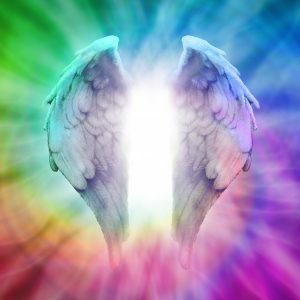 Using this information I will assist you in creating your affirmation(s). I will then record a guided meditation designed specifically for you using your information and set it to relaxing and inspiring music. It will be available in MP3 format or as a CD which I will ship to you. 2011© Copyright subsists in all these recordings and art work. Any unauthorized copying or re-recording in any manner will constitute infringement of such copyright.